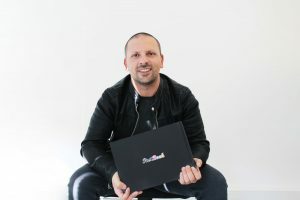 The Amsterdam-based one-click photo book platform received the investment from various current and new investors to support international expansion. PastBook announced it had 10x YoY growth in revenue for three years in a row and the new investment is their second, making it’s total $2.5 million. Dinko Valerio – founder and former CEO of Crucell, is one of the famous new names embracing the scale-up’s growth potential. The investment consists of two tranches; an initial convertible note and the follow up from current investors like Vortex Capital Partners and other high net-worth Dutch individuals (mostly entrepreneurs). The PastBook instant photo book platform says it provides the most frictionless way to create an album from any source. They created an own developed algorithm that combines a huge range of data with smart technology to automatically select the user’s best photos, captions and dates.It makes it possible to instantly arrange them into a photo book within 60 seconds, without requiring any user interactions. In times of visualisation via Instagram, Pinterest etc. a picture says more than a thousand words, but only on your device it’s very limited to enjoy with others. PastBook makes photo books easy and on point.